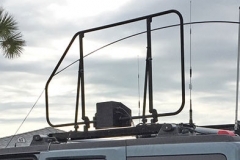 Traditional vertical ‘whip’ antennas, fitted to vehicles for high-frequency communication, suffer from a ‘skip zone’. A “skip zone” is where little or no communication is obtainable in a given area. 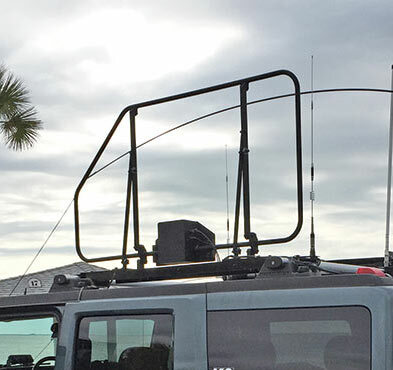 The Hilomast, LLC Mobile HF Loop Antenna, developed for NVIS (Near Vertical Incidence Skywave) communication across 3-15MHz, overcomes these limitations by having high-radiation efficiency and no skip zone whatsoever. Capable of automatically tuning across its frequency range in less than a 50th of a second, the Hilomast HF Loop Antenna compatible with virtually any HF transceiver including frequency-hopping types without the need for a separate control. 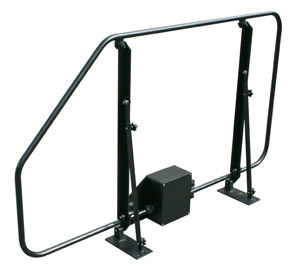 Based on the tested and reliable Hilomast, LLC Mobile NVIS Loop which is in use by organizations throughout the world, this latest version, the Mobile HF Loop Antenna, incorporates a significant upgrade to the durable and rugged, thick-walled, tubing for performance and durability. 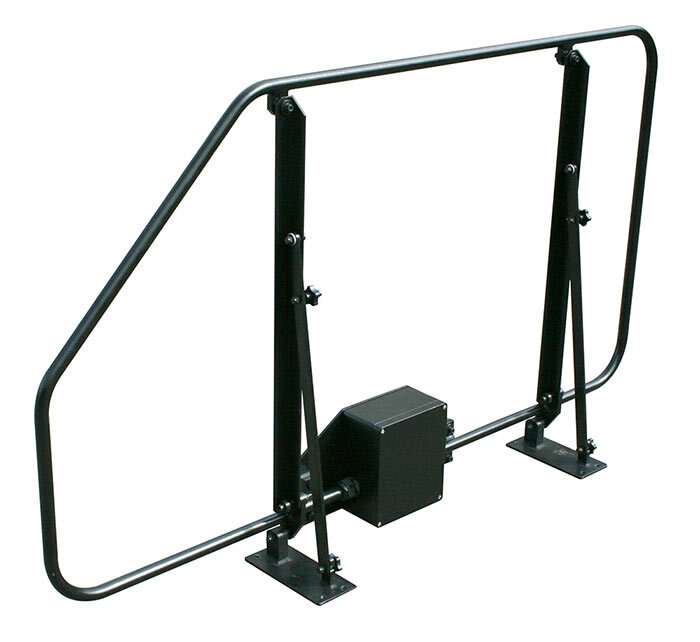 The standard loop roof bar attachment is designed for roof bars 32mm x 22mm in cross section. 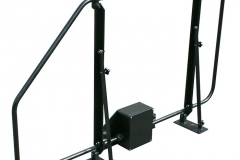 However, attachments can be manufactured to meet your individual requirements.